Our San José Family Shelter is the only shelter in Santa Clara County that exclusively serves single- and two-parent families. We can accommodate up to 35 families at a time, each in a private room with bath, for up to 90 days. Getting families off of the street—providing emergency shelter and food—is just one part of what we do. From the moment they enter our Shelter, we work with each family to develop a step-by-step plan to become self-sufficient. On-site Case Managers work closely with each family from day one to provide counseling, housing and employment referrals, money management assistance, health care services, workshops, parenting classes and more. Supportive services for children include our on-site, licensed Voyager Child Development Center for infants and pre-school children, and our Homework Enrichment Program to keep children in grades K-12 on track for success. Homelessness frequently breaks up families: in 56% of cities surveyed, homeless families had to separate to enter emergency shelters (U.S. Conference of Mayors). 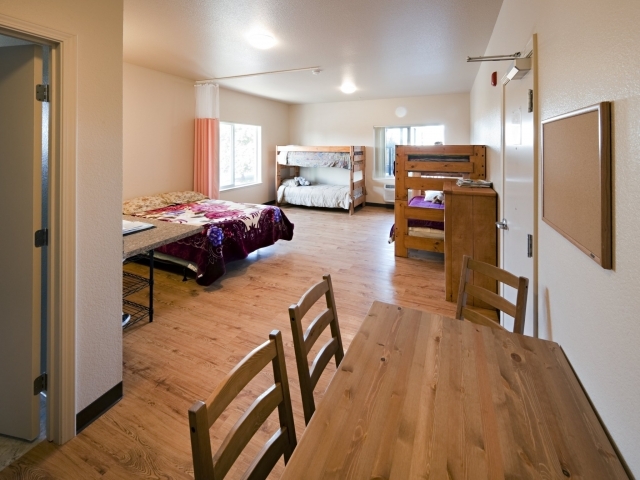 By contrast, the San José Family Shelter offers stability to homeless families with children. They feel safe and secure, which allows them to focus on the hard work that they need to do, with expert support from our staff and volunteers. The families we serve are not chronically homeless. For many, Silicon Valley’s lack of affordable housing and of work opportunities for people with limited education combines with some triggering event—an unexpected illness, or a landlord who decides to sell—to propel a family who had been getting by paycheck-to-paycheck out onto the street. These families deserve our strong support. 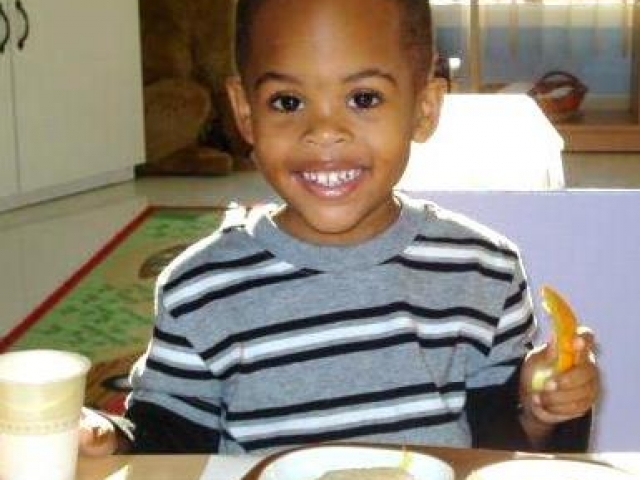 We provide over 52,000 shelter nights and 186,000 hot meals annually to single- and two-parent families with children. We meet other critical needs such as clothing, transportation, laundry, and personal hygiene items on-site at the Shelter. Each year, we provide access to free health screenings and education to at least 150 families with children, through visits by Gardner Family Health Network. Each family’s needs are unique. To understand and address those needs effectively, we conduct an initial self-sufficiency assessment that evaluates a family’s current status in 18 areas like housing, employment, income, nutrition, child care, education, safety and credit. This comprehensive baseline assessment allows our program staff to target supportive services to each family’s profile. To help prepare families for the extremely tight South Bay housing and labor markets, we provide on-site financial literacy and job readiness services. 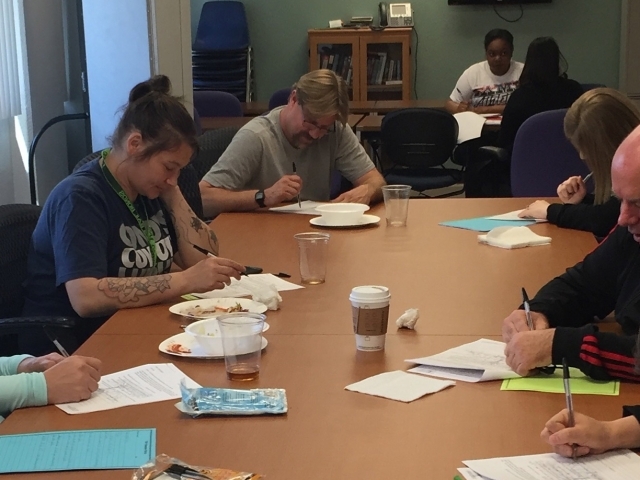 We also partner with a network of outside agencies to connect our clients with community resources such as short-term rental assistance, transitional housing, permanent housing and public benefits. 100% of client families worked with a case manager to identify barriers to self-sufficiency and develop a plan to remove those barriers, in the last fiscal year. 85% of families successfully completed the Shelter program. 75% of families moved from the San José Family Shelter into permanent housing. The U.S. Department of Housing and Urban Development (HUD) goal, on a national level, for number of families moving into permanent housing is 65%. Questions on our programs or events? Send us an email and we'll get back to you, ASAP.